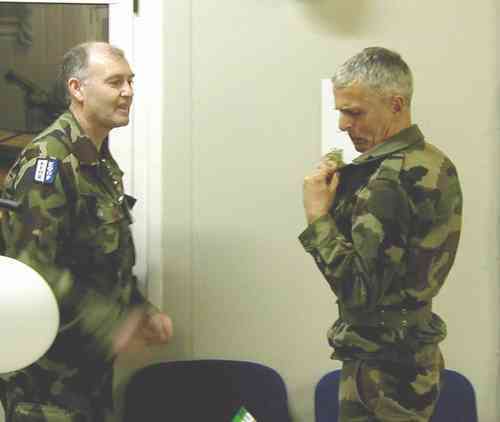 General Valentin, Commander KFOR, pins on shamrocks at the ST. Patrick's celebration at KFOR Headquarters, 16 March 2002. 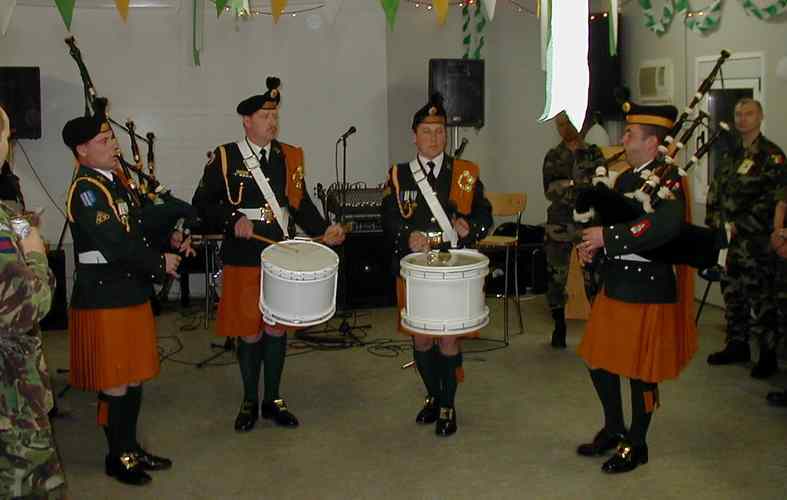 We were entertained by an Irish Army bagpipe band. 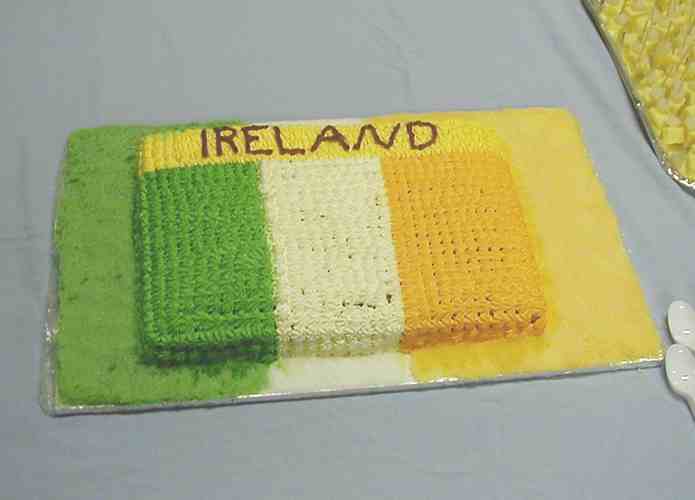 The Irish contingient treated us to many varieties of alcoholic beverages and food. 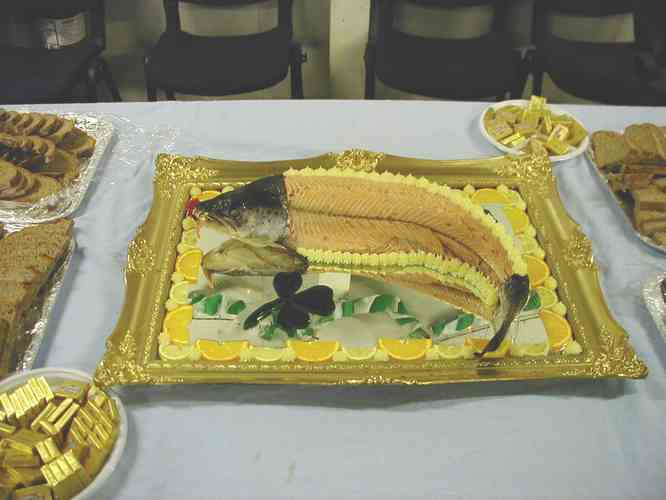 The salmon was delicious!